When Israeli Navy attacked the Freedom Flotilla that was taking Aid for the People Gaza and Martyred more than 20 Innocent People there was no Muslim Country to raise any voice against this Israeli terror except Turkey. Turkish Prime Minister Tayyip Erdogan strongly Condemn this Israeli terrorist act and demanded World to take strict action against Israel. 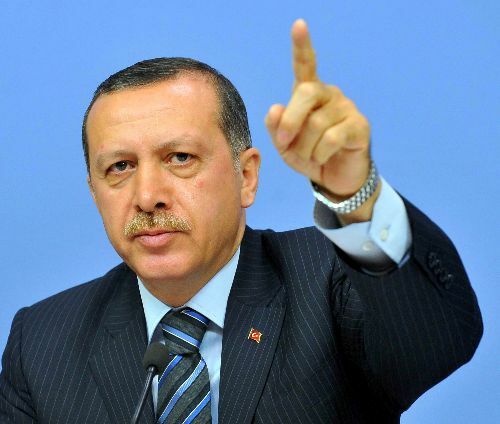 Now Tayyip Erdogan has also announced that he will himself go to Gaza with Aid. Tayyip Erdogan is a religious minded person due to which many Army Generals and Judges have opposed him but he always succeeded with help of Turkish people. Tayyip Erdogan played a major role in ending corruption from Turkey and working for the progress of Country. Few years ago Turkish Currency lirasi was very down in its value and 80 lirasi where equal to 1 Dollar but today 1 dollar is equal to 1.5 lirasi and this is due to great polices of Tayyip Erdogan. Although Tayyip Erdogan is a religious minded person but he also respect Secular constitution of Turkey.